Built in around 1910, this rental apartment building consists of a front building, a side wing and a coach house. 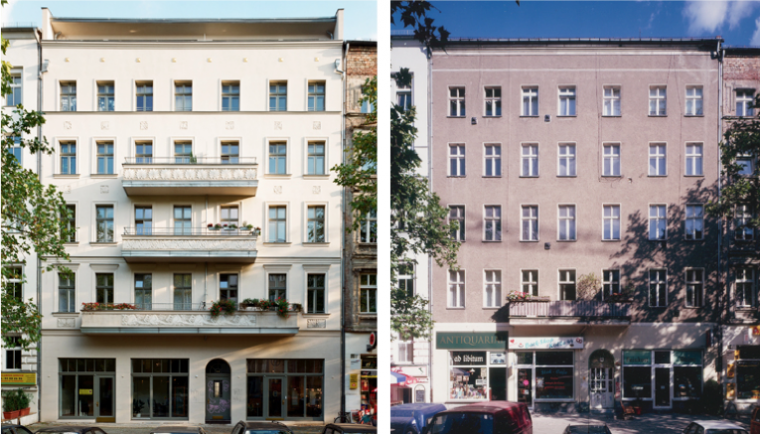 It was modernised, creating apartments with between 1.5 and 4 rooms each. Additional space was created by adding maisonette apartments. The total living and commercial space amounts to 1840 sqm.